Object Teams is part of the Neon simultaneous release. This means, no further URL must be configured for installing the OTDT and/or OT/Equinox, simply select the Neon - https://download.eclipse.org/releases/neon software site and open the Programming Languages category. 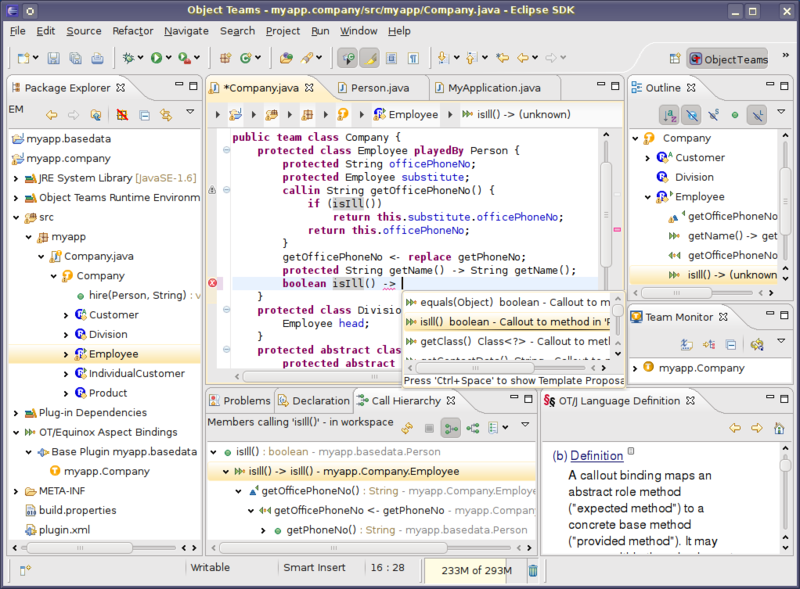 Install Eclipse SDK 4.6 (you may also use your favorite Eclipse Package but it has to be exactly 4.6 for OTDT 2.5). Open "Help > Install New Software ..."
Choose Neon - https://download.eclipse.org/releases/neon software site and open the Programming Languages category. Recommended: un-check "Contact all update sites during install to find required software"
Click through the wizard upto and including the required restart of Eclipse. Browse content from the welcome page or from help ("Object Teams Development User Guide"). You should see a note that this plug-in is adapted by two Object Teams plug-ins. Flight Bonus Example (comprehensive, high density of OT/J concepts). Order System Example (comprehensive, not quite as dense). ATM Example (special demo for guard predicates). For still older versions, you may still consult our old download page at www.objectteams.org for existing releases.